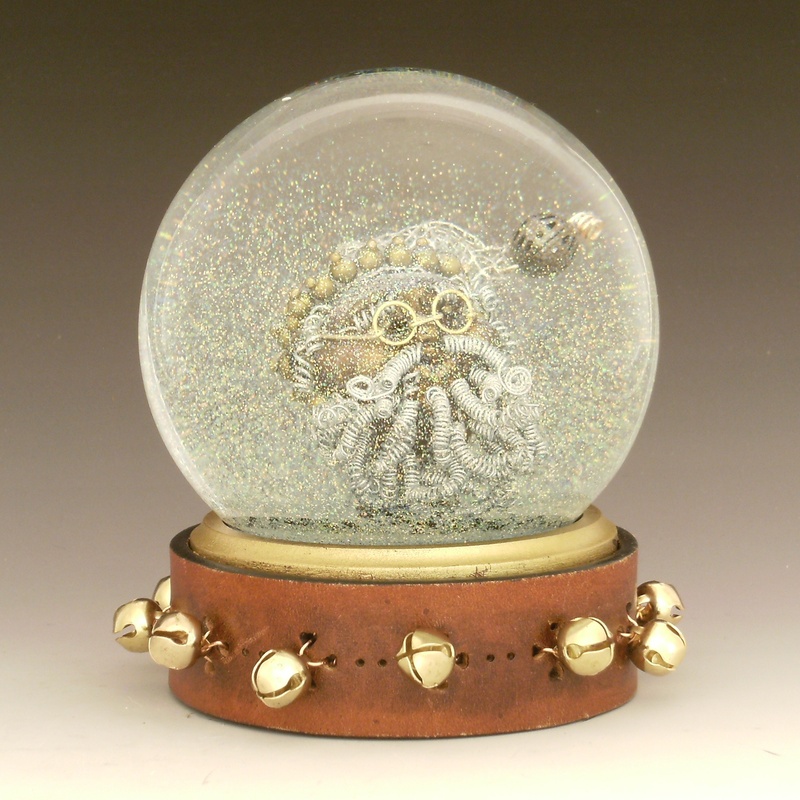 This entry was tagged artisan snow globe, Camryn Forrest Designs, holiday snow globe, miniature sculpture, one of a kind snowglobe artisan waterglobe, santa snow globe, silver snowstorm, steampunk holiday, steampunk waterball. Bookmark the permalink. I love it, the beard especially. That must have taken a while to make. 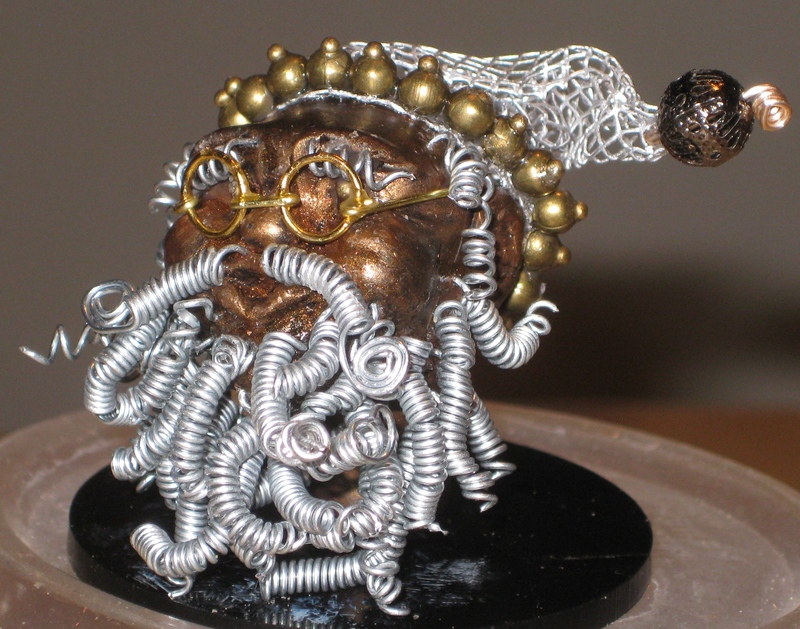 Thanks … It was very relaxing, just sitting, thinking,and twisting wire. The fun part is not knowing exactly how it will turn out until it’s done. I know what you mean. I do some crafts like that, mostly woodworking, and although you start with an image in your head, there’s no way to know how it will really turn out until it’s finished.